« You Got To Face The Music. We In The Space Age Now. And then there’s Chicago’s ELE-vated Train. Which lore tells was greatly enjoyed by Sun Ra. Riding around in the loop, you can spot a sprinkling of buildings decorated in the Egyptian Revival Style. The discovery of King Tut’s tomb in the early twenties, inspired this architectural trend and also, surely ignited a young Herman Poole Blount’s imagination. So I’m riding through Washington Park, coasting by the grounds of the DuSable Museum when I roll across this. I just found your blog and am looking forward to looking back through your posts. VERY nice place you have here! Sun Ra’s wordplay, poetry, and language equations are as entertaining and thought provoking as his music and both seem to be parts of the same creation/presentation. I don’t think you can fully appreciate his music without also considering this aspect of his art. Thank you for sharing your ideas and interests. Yes, I agree! It has been the process of learning about Sun Ra’s philosophical and writing practices that has allowed me to better understand and appreciate his music and performance strategies. I REALLY appreciate the feedback. It’s nice to know someone is looking. Motivates me to put the posts up faster. Come again. Cheers! You can bet I’ll be back! I hope you don’t mind, but I posted a link to your blog at my blog. 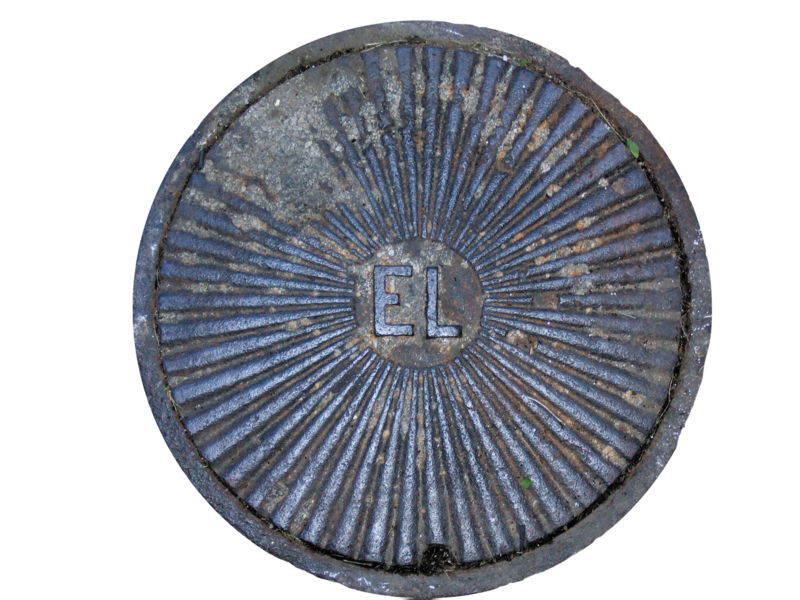 When I have a minute, I just have to add the EL manhole pic, too. How cool is THAT?! Light rays radiating from an archaic name for the sun… amazing. I hope you find some more around town. I’d love to help search but Chicago is about a 6 hr. drive for me… a bit far to go for a sewer cap hunt!